Cricket Star is Microgaming’s only cricket themed pokie, and is in fact one of the only cricket themed online pokies in existence. It isn’t the most loveable game ever developed for the online casino world, but it certainly isn’t that bad. Cricket Star features some pretty decent graphics, and has special features which most players will admire. Cricket Star is a pokie which features 5 reels and a total of 243 ways to win. It is non-progressive in terms of its jackpot, but flexible enough to allow players a certain degree of control over how they bet. 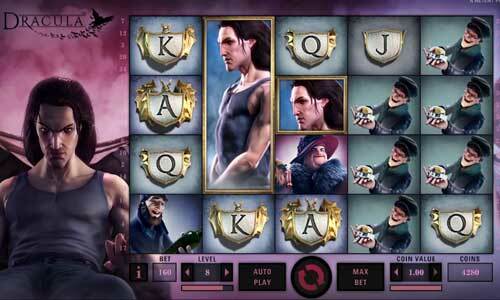 Coin sizes of 0.01 up to 0.10 can be chosen, with player able to stake between 1 and 10 coins per spin. Ultimately, they are going to find that their bet is going to fall somewhere between the 0.50 and 50.00, minimum and maximum wagers, respectively. Play at CasinoRoom With $600 + 60 Free Spins! Play Now! Wild symbol: The wild icon is the Cricket Star logo. When this symbol appears, it can replace all others, save for the scatter icon. 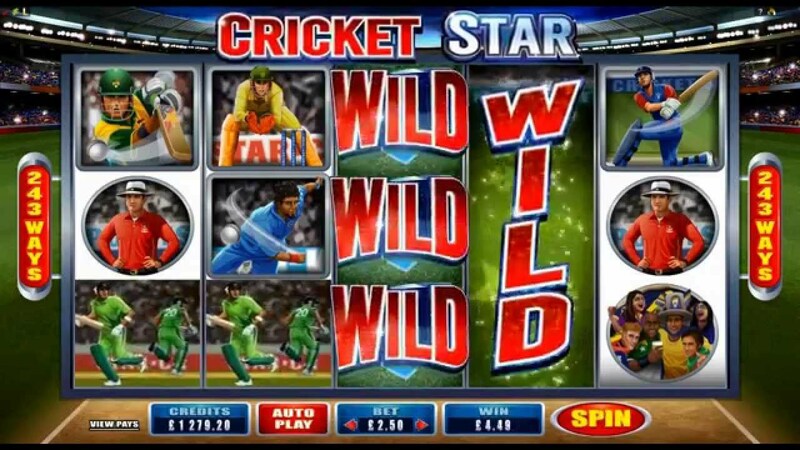 The Cricket Star wild appears stacked on the third, fourth and fifth reels, and more than 40 of them can appear on the reels at any one time. Wild Wickets feature: At any point in the game, the Wild Wickets feature may be triggered. When it is, the second, third of fourth reel will turn entirely wild at random, providing a guaranteed win. Scatter icon: Cricket Star’s scatter icon is the cricket ball. 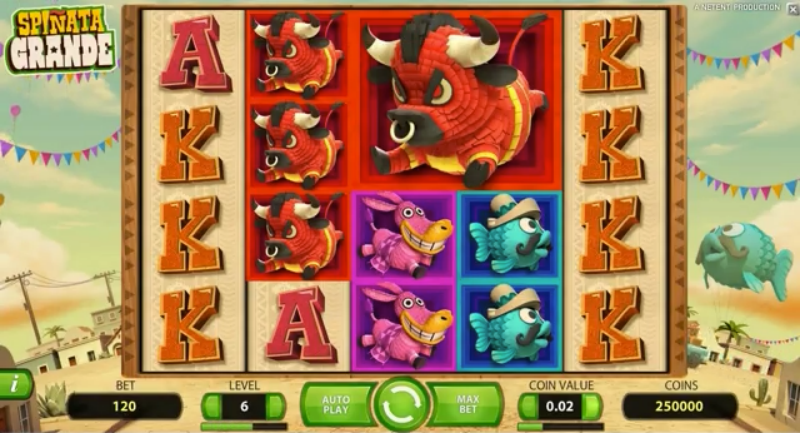 When it appears 3, 4 or 5 times in any position on the reels, the player will trigger a free spins bonus round. They can also pocket big wins with this symbol, since it is the top paying icon in the game. Free spins: Landing 3, 4 or 5 of the scatter icons will offer the players 15, 20 or 25 free spins. This bonus game also features a Rolling Reels bonus, where by players can pocket multipliers of up to 10x for consecutive wins in the bonus. The Wild Wickets feature will not be activated during this bonus, though. When playing Cricket Star on the maximum wager, it is possible for players to win as much as 12,500 coins, for lining up 5 scatters in any positions across the reels. More to the point, if they have a very successful bonus game, they could potentially win as much as 105,000 coins in the free spins feature. That is a very worthy non-progressive jackpot, given how cheap Cricket Star actually is to play. Cricket Star is never going to play anybody away with its features, and it is only going to have a select audience. The chances are that if you are not a cricket fan (or hate cricket, as some people do), then Cricket Star must might not do it for you. A lot of the features are similar to those which you can find in other Microgaming online pokies, so that too many play a part in determining whether or not you’re going to play this title.